This ocean view can also be enjoyed from the kitchen. Kitchen will come with all the stainless steel appliances. There's also space for a wine cooler under the bar! 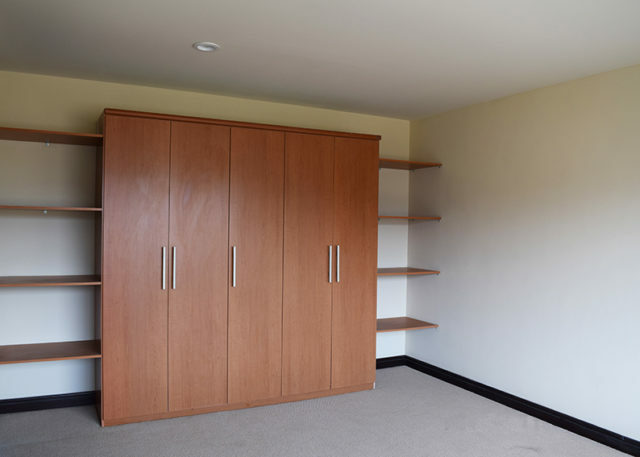 Amazing large Master Bedroom with enough space for a dressing table or a desk. 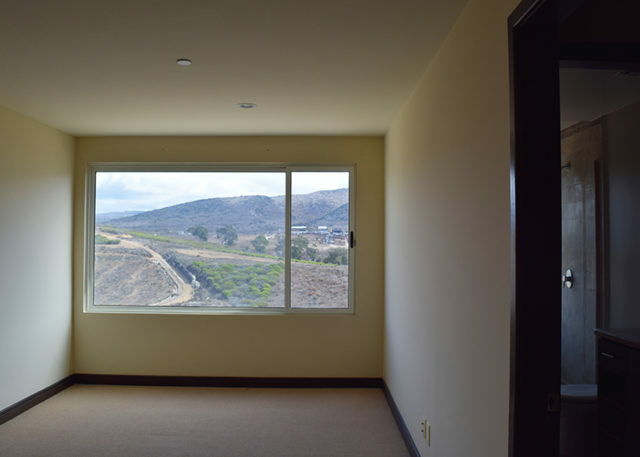 3rd bedroom also features view to the mountains, plus this built in closet that provides more space for clothes! Palacio del Mar Condominium Single Story "Oceanfront !" 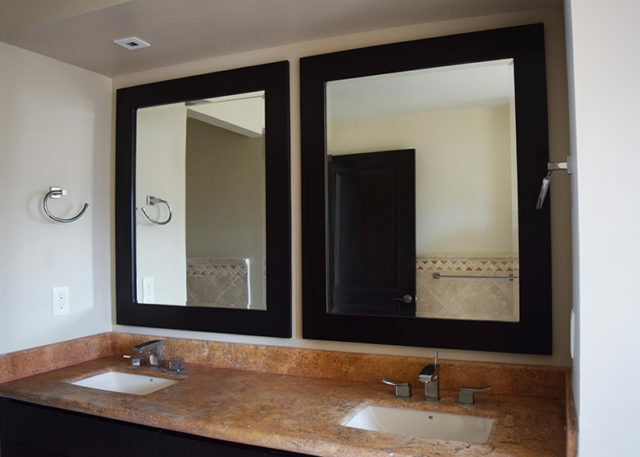 This 3 bedroom condo with a total of 2,833 square feet features an impressive Master Bedroom as well as two additional bedrooms each with their own bathroom. 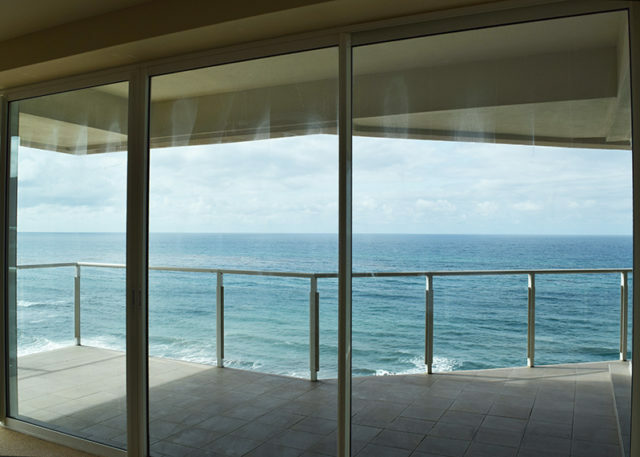 The extensive balcony, ocean view living room, and upscale kitchen exemplify the luxury that Palacio del Mar represents. The spacious entry foyer divides the open living dining and kitchen space from the bedroom areas. 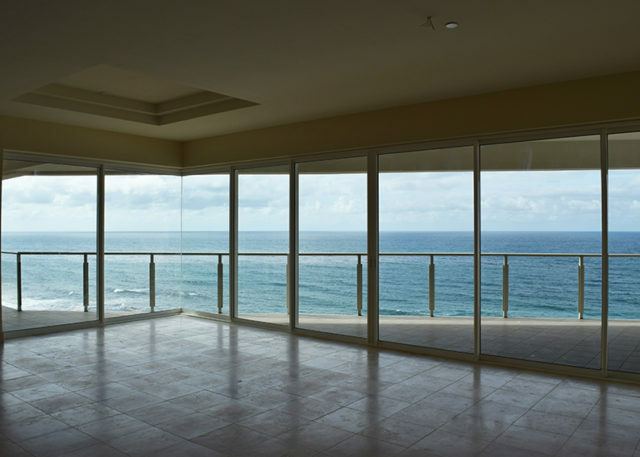 All living areas access the ocean front terrace. The slide doors open widely to include the outdoors into the entertaining spaces. The kitchen is made with top quality solid wood cabinetry and includes full slab granite top counters and also with a full backsplash. 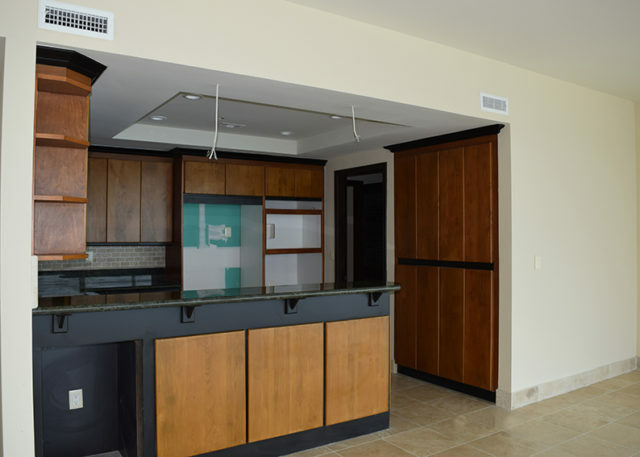 This condo will include all top of the line appliances, including a full size refrigerator, gas stove and separate oven, microwave, washer and dryer. 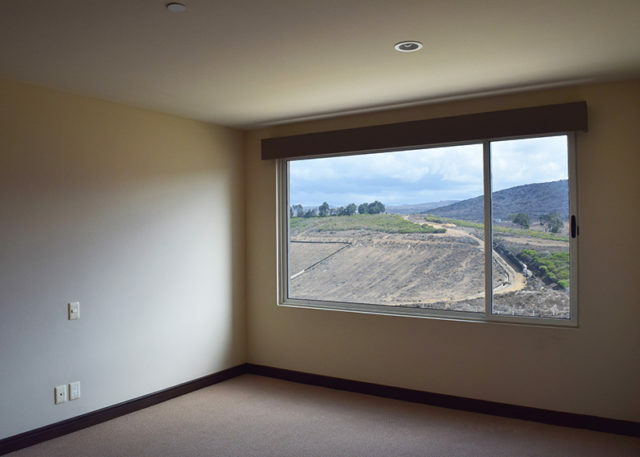 The guest bedrooms are located to the east side of the condo, and they offer great views to the hills behind Palacio. One of these guest bedrooms has a walk in closet and a in suite bath, and the second guest bedroom has a full size closet and a bath next to it. 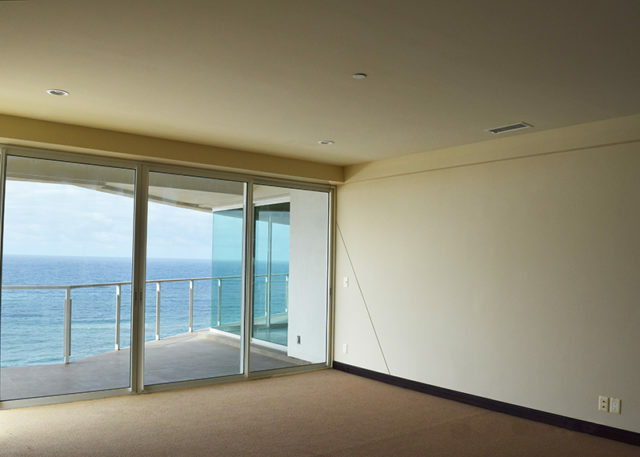 The master bedroom is on the west side of the condo, with unobstructed views to the Pacific ocean. 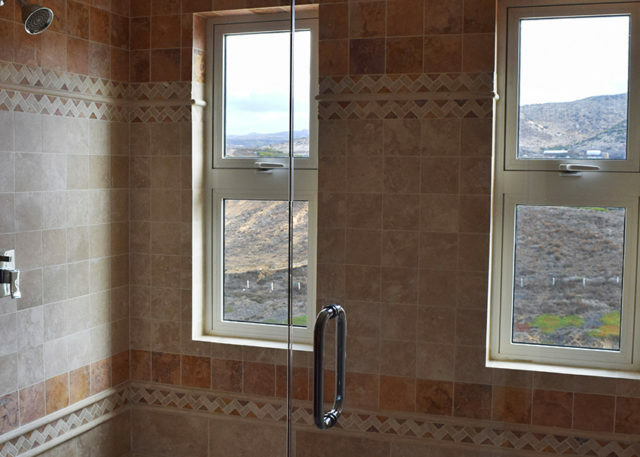 It also has access to the patio in front and the slide doors can be opened in different arrangements. The master bedroom closet is oversized and so is the master bath. Palacio del Mar is an exclusive Baja residential development that features luxurious two & three bedroom condos & villas overlooking the Pacific Ocean, enhanced with spectacular landscaping & first class amenities to create complete resort experience. 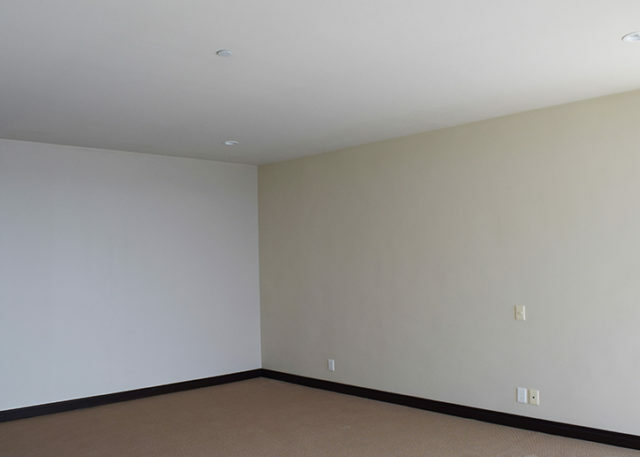 HOA fees for this condo are $450 dlls a month. Palacio del Mar is located at km 50 on the Carretera Libre Tijuana-Ensenada. Just South of the Sand Dunes. 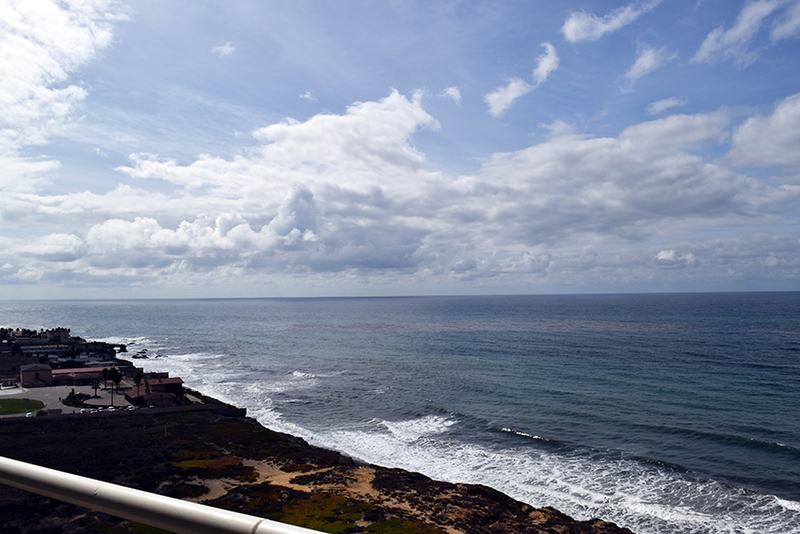 Near Palacio del Mar you will find restaurants, small shops and services like Splash restaurant, Primo Tapia and La Fonda. All top of the line appliances included: full size stainless steel refrigerator, gas stove and separate oven, microwave, washer and dryer, full size water heater, central propane heating system. Community Semi-Olympic size glass roofed indoor pool Plus a second Infinity pool overlooking the scenic ocean view. Bank Trust free and clear and ready to transfer. Some financing available, terms to be negotiated. Garage: Double, Detached "Assigned underground."